Here’s a list of frequently asked questions. I’ll add to these as the mood takes me. Firstly, here’s why I’m so slow responding to emails at the moment. My sincere apologies! See my opinion piece, “The 10.5 Commandments of Writing” and perhaps the “A-Z of Writing” as well. Troubletwisters: The Monster will be launched in May 2012. The answer to this question is surely a great big YES. There has to be. 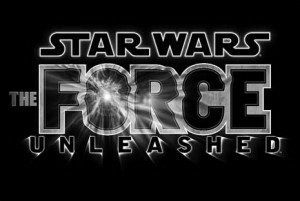 Star Wars won’t be complete without knowing what happened after the cliffhanger at the end of TFUII! Tricker to answer are the related questions: “When?” and “Will I write it?” These both depend on whether there’ll be a game and whether I am asked. I certainly hope I’ll be involved. I’ve loved working on Starkiller and Juno’s story and I hope to see it through to the end. There are lots of answers to this question. I’ll add links as they appear. Short answer: everywhere! I certainly hope so. The Crooked Letter is currently in development as a TV series. “Passing the Bone” has been optioned for a feature film (the treatment has already won an award). I recently turned down a deal for The Resurrected Man and am pursuing a TV adaptation elsewhere. There’s been interest in “White Christmas” and the Broken Land books. That’s the state of play as at September 2011. Yes. E-Reads currently has the Books of the Change available, and more of my back-catalogue is on the way. How you read these books is up to you. The Crooked Letter is quite different, stylistically, to the other books so a lot of readers skip it as they move from the Books of the Change to the Books of the Cataclysm, following the adventures of Sal, Shilly and Skender perfectly well without it. Readers of The Devoured Earth who want to know more about the famous golem-hunter Roslin of Geheb can do so in the Broken Land stories. They are intended as books for younger readers (apart from the two related novellas) but they contain lots of meaty stuff for adults, too. 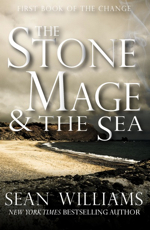 Anyone moving from the Broken Land series to the rest, or indeed anyone starting fresh with this world, I’d advise you to leap straight into The Stone Mage and the Sea, the first I wrote. Lots of things! See here for a detailed explanation. There was never a print edition, unfortunately. It’s about to come out in electronic form from the same publisher as the other volumes (Pyr). 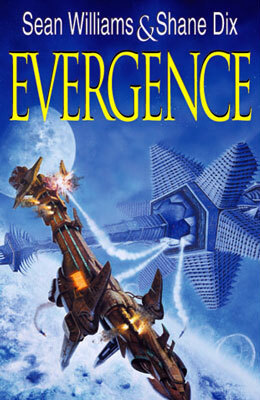 [slw] From the beginning, Shane and I have been writing space opera: stories featuring space ships and exotic aliens and galaxy-spanning time scales; that’s what our Evergence novels were all about. We both loved the Star Wars movies and I’d even read some of the spin-off novels when I was a teenager. The thought of writing in the expanded universe was, therefore, an attractive one, and when my agent, Richard Curtis, mentioned that he was trying to get us a gig in that area, we jumped at the idea. [slw] It took a year, but we got there. And when things started to move, they moved very quickly indeed. It took less than a month to get from a 4am phone call to a brainstorming meeting at Skywalker Ranch–one of the most amazing and inspiring experiences of my life. [sd] Yeah, if I recall, Sean got in touch with me one day to say that it looked like Richard Curtis had managed to secure a deal to write a Star wars novel. A week later we heard it was to be a trilogy, which was fantastic–and just so right for us, as since we’d been collaborating all we’d done is trilogies! The trick is to pursue your own ideas and become a published author in your own right. Then you’re in with a chance, as we were. A fourth and final book, The Roche Limit, is a possibility, but we have as yet written nary a single word (so don’t hold your breath). I hope so. I have three in mind, in fact. For now, though, there are just the three short stories/novellas: “A Map of the Mines of Barnath”, “A Glimpse of the Marvellous Structure (and the Threat it Entails)” and “Inevitable”. Any progress on a Structure novel or further short stories/novellas in that universe? It has been a while ….